A/C control transmits rear window defogger switch signal to A/C auto amp. when rear window defogger switch turns ON while ignition switch is ON. 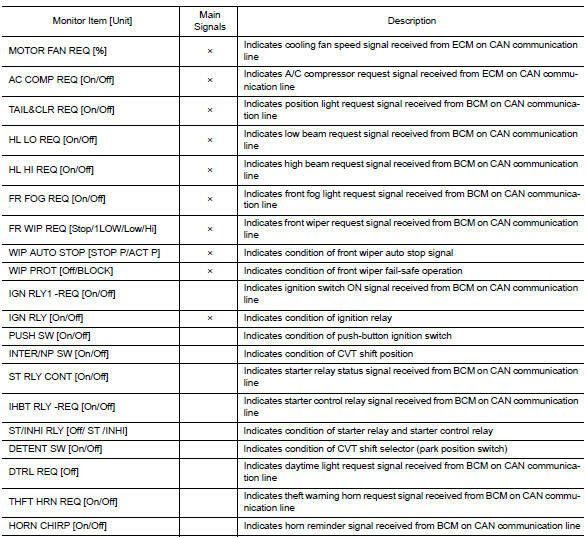 Bcm transmits rear window defogger control signal to ipdm e/r via can communication. 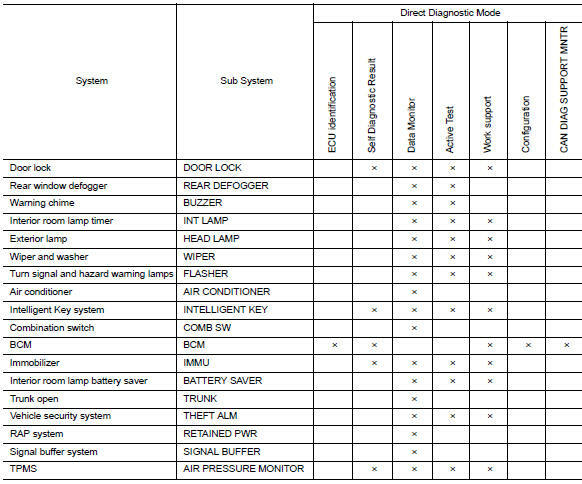 Ipdm e/r turns rear window defogger relay on when rear window defogger control signal is received. The power is supplied to rear window defogger and door mirror defogger* when rear window defogger relay is on. 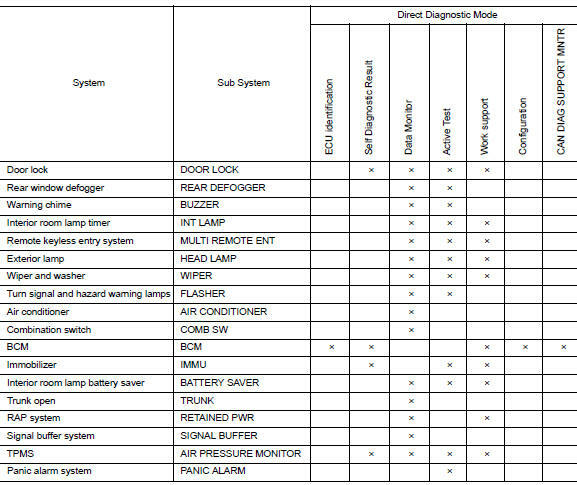 When rear window defogger is activated, rear window defogger feedback signal is transmitted to a/c control via a/c auto amp. And the indicator lamp on rear window defogger switch turns on. *: With door mirror defogger. BCM transmits rear window defogger control signal to IPDM E/R for approximately 15 minutes when the rear window defogger switch turns ON while ignition switch is ON. Then, IPDM E/R activates rear window defogger and door mirror defogger*. The timer is cancelled if rear window defogger switch is pressed again during timer operation, and bcm stops the output of rear window defogger control signal. The same action occurs during timer operation if ignition switch is off. 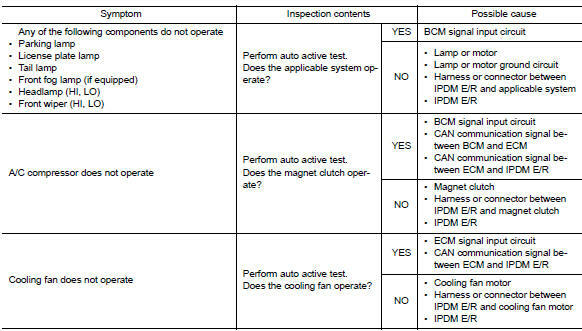 When auto active test is not activated, door switch may be the cause. Check door switch. 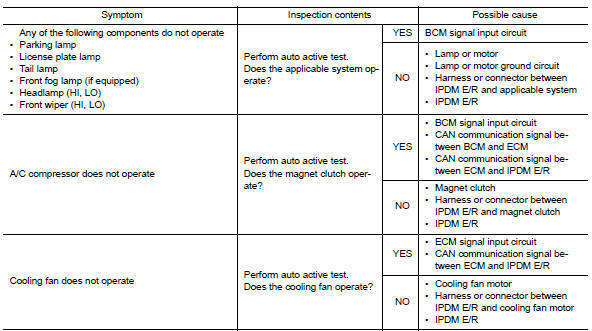 Refer to DLK-255, "Component Inspection". 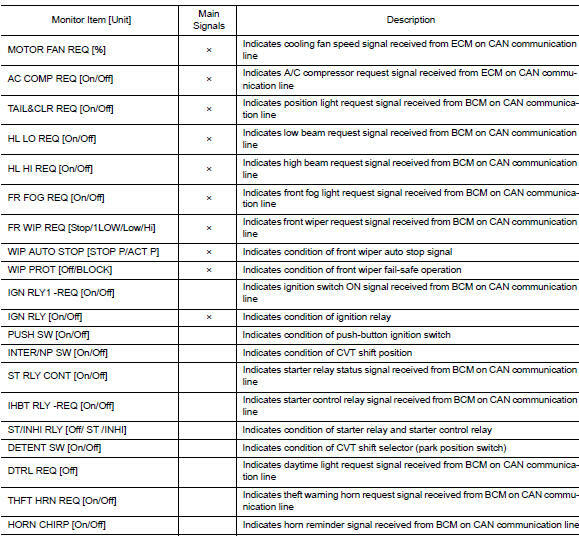 Refer to pcs-48, "dtc index".